Vivia Center is a medical wellness center in McLean, VA offering treatments covering a wide range of needs utilizing the latest technologies, giving patients a superior service from a medical team they already know and trust. In addition to patient services, Vivia also offers the most innovative and effective cosmetic care products available today—products that are only available through approved cosmetic care experts. Dr. Feisee has extensive training in aesthetic and laser surgery and is a member of both the International Society for Cosmetic and Laser Surgeons, the American Society for Laser Medicine and Surgery, and the American Medical Association. Her interest and considerable experience in cosmetic techniques, and the growing desire among her patients for aesthetic care options have led Dr. Feisee to explore the latest in effective cosmetic treatments. This led to the founding of the Vivia Center for Cosmetic Therapy. 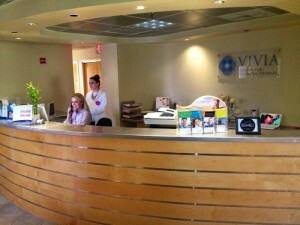 From non-invasive techniques and spa treatments to conventional therapies, Vivia Center provides a unique blend of sound science and personally developed programs based on each patient’s personal desires and needs at our medical wellness center in McLean, VA. 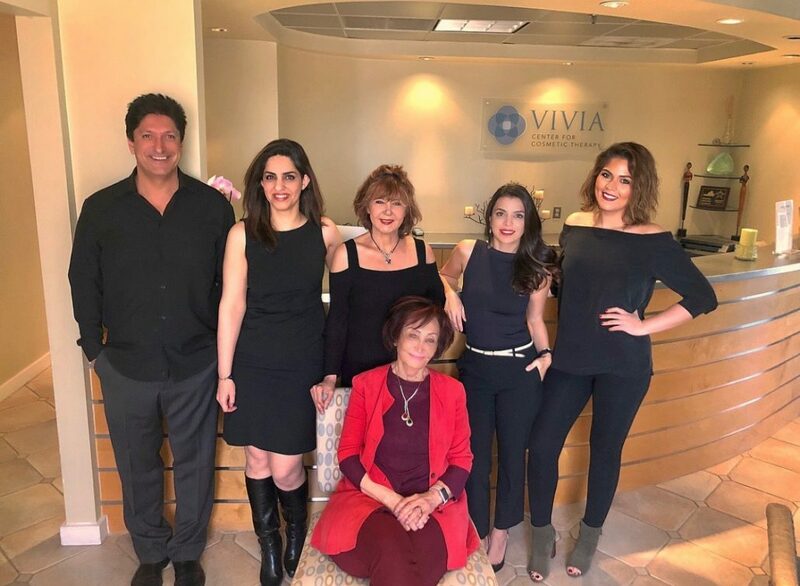 It is the purpose of Vivia Center, a medical wellness center in McLean, VA, to provide the highest quality of care by promoting excellence, innovation, and a spirit of cooperation in the delivery of aesthetic services to our clients. We are committed to continuous education in the field of aesthetic care in order to provide the safest and most advanced treatments and services to our clients. We are further dedicated to maintaining the highest level of ethics through consistent evaluation and development of our own procedures and policies based on the highest standards of care. Finally, we are dedicated to the well-being of our clients and focus our attentions on their individual needs by developing a trusted relationship built on communication, with the knowledge that we are experts in our field. I’ve been going to Vivia Center for years and always have a pleasant experience. Definitely recommend! I recently had lip injection at the Vivia Center. From concept to completion the receptionist, assistant... read more and the Doctor were absolutely phenomenal! I enjoyed the experience and the knowledge of the Doctor. The assistant suggested several options and the Doctor suggested the option she thought was best, it was actually less expensive. I admired this because she wasn't up selling or pressuring. Great service. Friendly and educated staff. I started with a Groupon with Dr Feisee, and... read more kept coming back. The office is very clean and I have never felt rushed. I appreciate getting in and out quickly and without pressure to purchase more. They have given good advice for future productsservices only at my request. Dear all at the Vivia center and can not be happier.... fantastic staff , Julia,... read more Mariam, Diana , Dr.Feisee the best . Been coming here for past 3 years and truly highly recommend this , best if all they have Saturday hours!! !